It may not look like much, but this blob shows a remarkable star named V766 Centauri (V766 Cen for short) and its close companion. 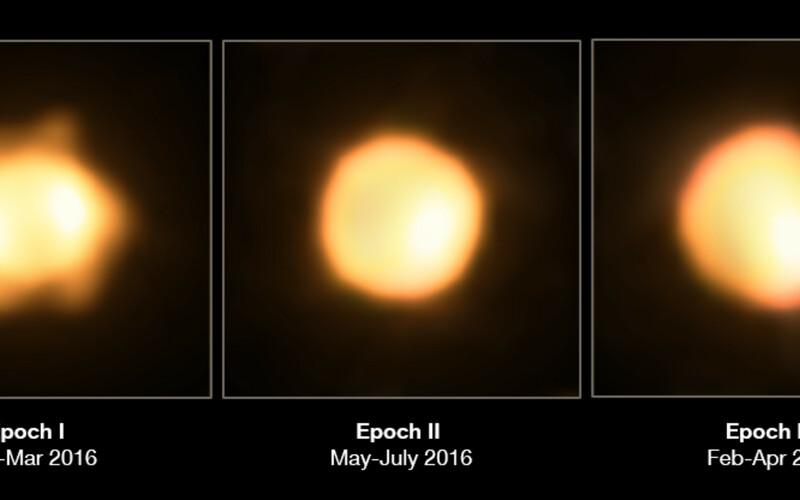 It was first studied and classified a few years ago by researchers using ESO's Very Large Telescope Interferometer (VLTI) when it was found to be something known as a yellow hypergiant, a massive and luminous type of star that is extremely rare — and extremely big! Measuring over 1400 times the diameter of the Sun, V766 Cen was not only the largest star of its type ever discovered, but also one of the ten largest stars ever found. However, a recent study has instead suggested that V766 Cen is likely to be in the phase of life just prior to that of a yellow hypergiant: an evolved red supergiant, which is losing mass so fast that it will eventually transition back into a warmer yellow supergiant for a short period of time. Either way, the star is a true behemoth, and of huge interest to scientists wishing to understand more about this unusual stage in the life cycle of stars. A team of scientists has now used the VLTI again to study V766 Cen in greater detail. Using the array’s four auxiliary telescopes and an instrument mounted on the VLTI known as PIONIER (the Precision Integrated-Optics Near-infrared Imaging ExpeRiment), the team imaged V766 Centauri and its close companion in striking detail. They found this companion to be smaller and cooler than its partner — likely a cool giant or supergiant with a radius of around 650 times that of the Sun. Close companions are thought to be typical for massive stars and are important in the processes of stellar evolution. 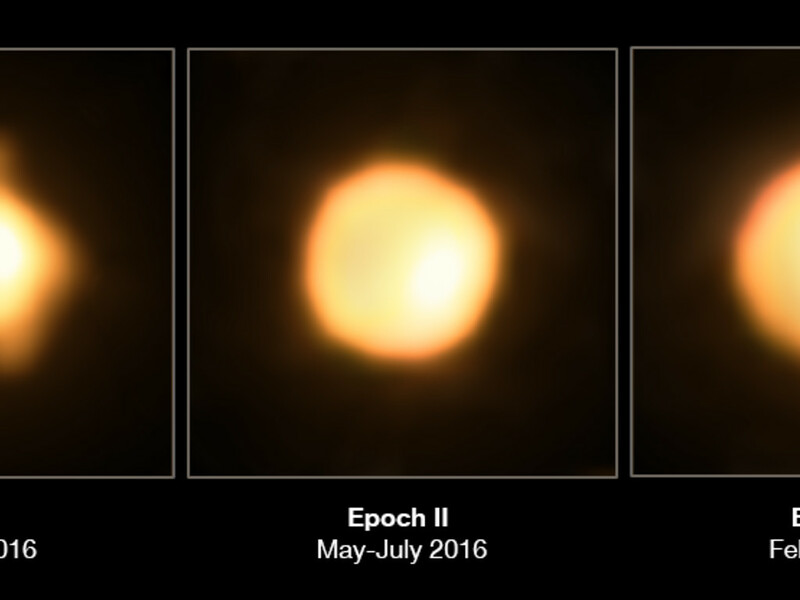 This Picture of the Week shows V766 Cen as it was seen over three periods of time. These images actually contain both V766 Cen and its companion — in the first image the companion is passing behind V766 Cen, but in the second and third images the companion is passing in front and is visible as a bright patch.